NI NKS compatibility coming soon! The chances are, if you are attracted to using soft synths you’ll be working on a computer with some form of DAW software, with the vast majority offering a basic selection of synths to work with, right from the get-go, so there will need to be a very good reason for you to part with further cash. 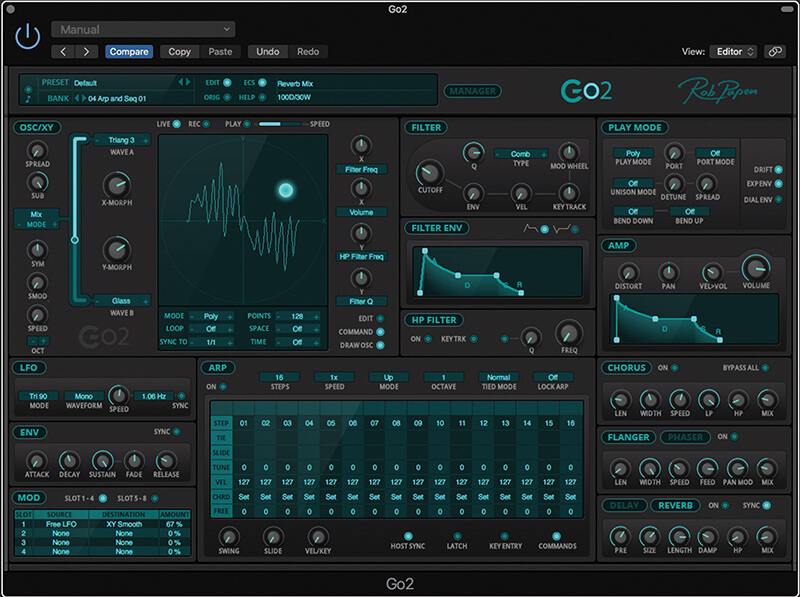 Rob Papen’s product line has always represented great value for money, but perhaps never more so than with Go2 which, as the name suggests, is designed to be a real workhorse of a synth, at an exceedingly tempting price. Offering over 600 presets immediately after installation, the essence of Go2 quickly becomes clear. Presets are organised into categorised banks, allowing for quick search and recall if you just want some inspiration, but delve deeper into the interface and you’ll find a lot more to appeal than simply another subtractive synth. With considerable similarity to other Papen products, the front end offers what is described as a Morphing Oscillator; you’d be forgiven for thinking that this was two oscillators, which it can be, but the power here is attainable by selecting two different waves (A and B) and using the XY section to morph between them. On the most basic level, this can be considered something of a mixer, however it’s a cinch to hit the XY record button and just drag the mouse in any manner of shape, for immediate recall of the same pattern the moment a note is triggered. This makes it entirely possible to morph from one wave shape to the other, and back again, with the minimum of fuss, and thus allows for a sonic experience which is similar to more complex Wavetable synthesis style designs. The choice of initial wave is equally extensive, with everything from the usual subtractive style saws and pulses, through to some highly eclectic digital waves. Many of the latter are exceptionally rich in harmonic construct, but thanks to the nature of the beast, may lack depth in the lower frequencies, but Go2 is nicely equipped with a sub oscillator, to help shore up any lost fundamental. Arguably, with these colours on call, the filter could become slightly redundant, but nevertheless the analog-modelled filter is equally extensive, offering various flavours of Low, Band and Notch filters, at both 12/24db. Soft synth filters often have a reputation for being a little over zealous in resonance, but not here. Fully applied, the resonance is wispy and characterful, with the only filter prone to exaggeration being the hitherto unmentioned Comb filter. Much better to offer plenty of feedback in this setting than not, with a second High-Pass filter being available to tame the source waves from the bottom upward. Nestling right between the two filters is the dedicated envelope, exploited by dragging its familiar ADSR shape into the desired contour. A second ADSR envelope is available for the amplifier section, where you’ll also find a healthy distortion control for adding overdrive at the amplifier stage. Given the complexity of colour on offer, I found this to be very effective, particularly on the more resonant styled tones, taking the richness of high-end colour and adding a beautifully gnarly depth. Rob Papen has firmly nailed his colours to the mast with this one. Go2 is very affordably priced, but boxes way above its weight sonically. There are certainly more comprehensive soft synths on the market, but this is a synth which is far from basic and when the presets start to blow cold, there is plenty to keep the more experienced user happy. It’s very good at creating old school tones, thanks to the modelled filter, but it also offers plenty in the digitally-styled arena, thanks to the movement that can be created within the oscillator. Add in the sequencer and the modulation matrix and you have something which is very useable on many levels, whether you’re a newbie or an experienced bedroom producer. While the intrinsic layout of Go2 is very familiar, Mr Papen has left nothing to chance by adding his own layer of effects to the back-end. Three sections offer Chorus, Flanger/Phaser or Delay/Reverb, with all displaying varying levels of control via six pots within each section. Impressively, each of the three sections offers a Mix control, so it’s completely up to the user to implement the desired amount at each turn, rather than globally. 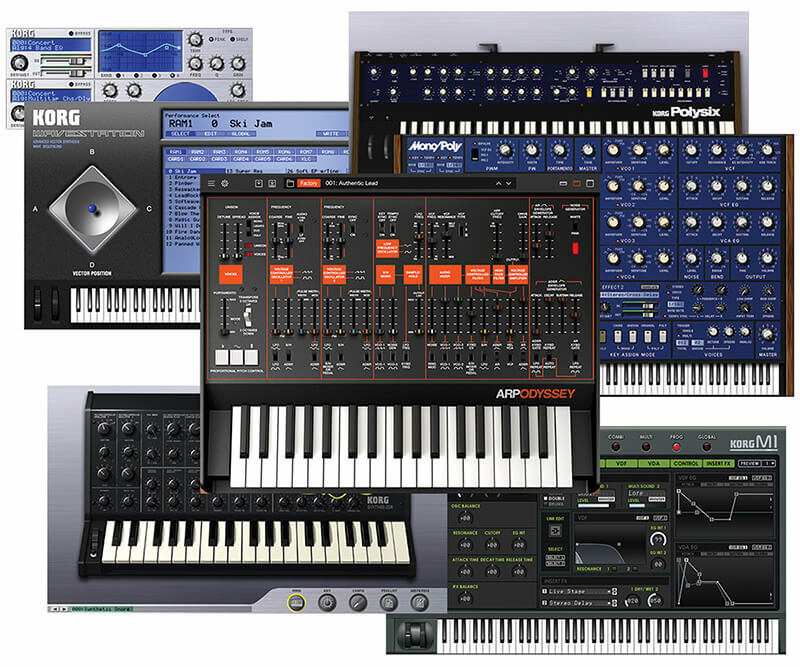 One area that is synonymous with Rob Papen’s products is the Arpeggiator and Sequencer section. Largely one and the same, the sequencer section offers up to 16 steps with a huge degree of control. You’ve got everything you could need for basic duties here, with plenty of more complex programming too. Steps are easily activated and muted, while the usual ties and slides can be added, for those 303 style effects. What’s nice about this section is that there isn’t any real complexity, making it very easy to simply dive in and play around, which is nicely rounded off via the inclusion of a latch control, should you wish to play hands-free. Located in a rather un-enticing small area to the bottom left of Go2 is the modulation matrix. It’s a shame this isn’t a larger feature as it could have very useful consequences in a number of settings. Apart from the usual routings of LFOs and Envelopes, it’s possible to route a number of other incoming sources to a location of your desire, and this includes incoming MIDI Continuous Controller data. This immediately opens up potential for experimentation both within the studio and live, where it’s great to have the ability to ride the fader within a track. A maximum of eight modulations can be assigned here and as hinted, the LFO section is fully formed and useful. Offering six wave types, the LFO will operate under free time or can be sync’d to your DAW clock. Helpfully, there is also the ability to offset the phase, allowing for easy deployment of the LFO across the bar. It’s fair to say that I was very unsure what to expect from Go2. 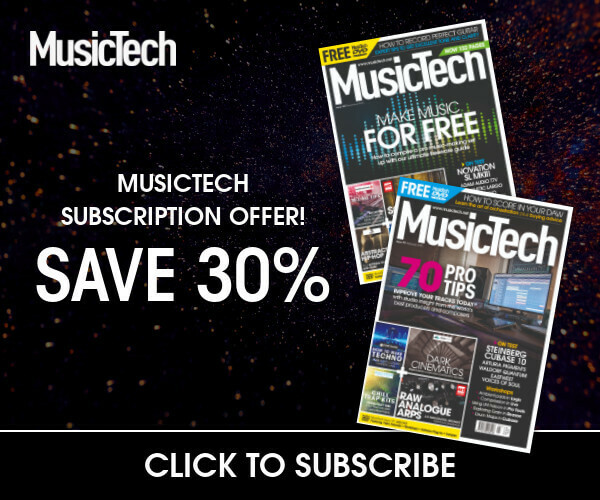 Thanks to its affordable pricing, it’s definitely set to appeal to an audience on a budget, so one of the questions may well be, how well does it stack up against the usual run of included DAW synths? Pretty damn well, actually. Sonically, it definitely has that Rob Papen signature sound: it’s crisp and bright, with plenty of source content for making interesting tones, both with a nod to the analog classics, but more usefully for digital textures that can morph, meander and twist over time. Being something of a fan of Wavetable, I found this really great, and if you don’t fancy getting your hands dirty with the programming, there’s plenty of preset action to keep you occupied, although the interface is so simple, you’d be bonkers not to get busy with the elements that you are hearing. The filters sound terrific, with the perfect balance of aggression and warmth, which will delight fans of both the digital and analogue sonic camps. Where Go2 might be less rewarding is if you already have other Rob Papen products, as there are a number of similarities in both architecture and sound which will cross over. In fact, if you have other more expensive Papen products, you’ll probably find them a tad more powerful overall, which will hardly come as a surprise. 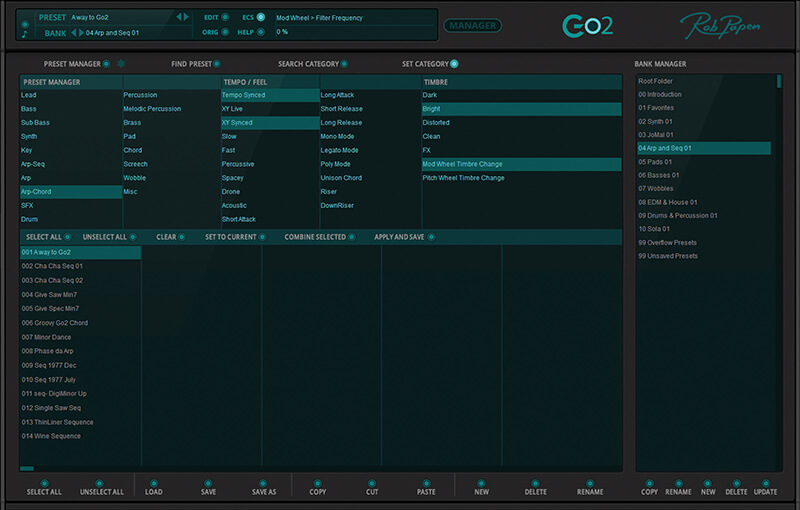 However, if you’re dipping your toe into the Papen World for the first time, or have limited funds, Go2 will heavily reward, with a synth which is full of sonic possibilities and could become something of a go to. Job done Mr. Papen! Korg have been offering soft synth versions of their classics for some time now, either individually or as a collection. The Mono/Poly is undoubtedly one of their cheapest and most useful, offering far more than the original hardware synth. Since its release last year, Softube’s take on the computer based Eurorack synth has found a cult following. It is supremely comprehensive and sounds amazing. 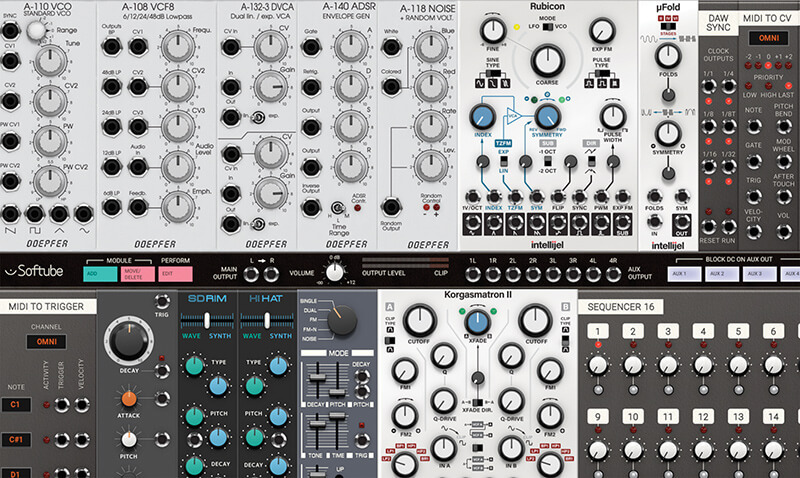 It’s full of presets, but will offer great rewards if you start to get busy with the virtual patch cables.